A celebration of social commitment through cinema, the first ever London Labour Film Festival this September will bring eighteen phenomenal films touching on the issues of labour to the heart of London. Across three days, we’ll be presenting a fascinating and varied take on issues of work, labour struggle and the emotional and societal importance of labour issues, welcoming special guests and inviting discussion. We’re delighted we were able to get the Prince Charles Cinema for the hub of the festival. It’s just off London’s cinemaland of Leicester Square, and it’s one of our truly independent cinemas. And we’re even more excited that two of Britain’s most acclaimed directors will be joining us in person. Ken Loach will introduce his classic film The Navigators, and Mike Leigh will be on hand to answer audience questions on his film High Hopes. Showing the artistic relevance of the issues that the festival will be exploring, we’ll have contributions from award-winning journalist Owen Jones, a live performance from acclaimed musicians at our screening of classic Woody Guthrie biopic Bound For Glory, and a very special panel discussion around Ross Ashcroft’s Four Horsemen, a prescient take from 23 international thinkers on how to make the world a fairer place for all. 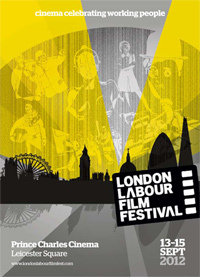 With a programme that travels from shocking accounts of global working conditions (Michael Glawogger’s Workingman’s Death) to fantastical forays into the plight and ingenuity of future work forces (Moon, Metropolis) and from portraits of fractured working class communities (Snows of Kilimanjaro) to 80s cheese with They Live, the London Labour Film Festival offers a challenging and fun cinematic exploration of important and relevant issues. The festival is also delighted to be hosting a competition of labour short films, which will be judged by a global panel and will act as a celebration of the continued relevance of labour issues to young filmmakers. We look forward to welcoming you all for what will be a very special cinematic celebration of workers on film. 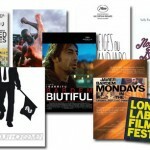 You can find the programme for the Festival at londonlabourfilmfest.com and book tickets online now at the Prince Charles cinema site. 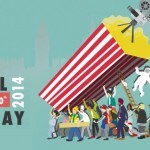 GUEST POST: Anna Burton is the director of the London Labour Film Festival. She has spent the last 13 years working for the labour movement and runs a film production company in London.